Don't Waste Your Summer Trying to Get Noticed at Tournaments and Showcases! Today’s ballplayers are being convinced to play all summer long, jumping from tournament-to-tournament, and showcase-to-showcase. Every player is hoping to be seen by coaches and/or scouts that can offer them a chance to play at the next level. They Aren’t Ready to Showcase Their Talents Yet! And what’s more fun than being able to play at your best? But… The only way to play great baseball, is to do the things necessary to maintain your game. Your Team’s Practices Aren’t Enough! Spring school teams practice or play a 5-6 days per week. Unfortunately, practice days aren’t very productive. Many of my players have made a point of telling me how little they get done during those practices. They don’t get to hit enough. They don’t get to throw bullpens between starts, or any bullpens at all. The sharpness players had at the beginning of the season slowly begins to dull. They start picking up bad habits (or bringing back old ones) because they aren’t able to maintain the consistent work they put in during the winter. Summer teams don’t practice nearly as much as spring teams! How are players expected to play at their best?! Let’s not forget that most of the strength training results achieved in the winter is all but gone by the end of the spring season. I’ve had a few players come back to The LAB once their season ended and were flat out shocked at their strength levels compared to what they were at the start of the season. The Bottom Line: The ONLY way you can maintain your current level of strength and skills is to train them consistently! Despite the fact that every player that walks through the doors of The LAB with the same overall goal of playng better baseball; every player has their own unique set of goals that needs to be addressed with a customized plan of attack. A cookie-cutter program just won’t do. So, right from the first minute a new player steps into the training area, the customized workout program begins to take shape. Before you begin any form of training, it’s imperative that you are assessed for muscular imbalances, lack of mobility, and flexibility. Any one of those can keep you from performing specific exercises, and even more important: playing your best baseball. These assessments are essential to designing a custom training program for each individual ballplayer. THE SPRING SEASON ALONE CREATES IMBALANCES PLAYERS DIDN’T HAVE AT THE START OF THE SEASON! THESE IMBALANCES SIGNIFICANTLY REDUCE THE ABILITY TO PERFORM AT A HIGH LEVEL! Once the assessment and questionnaire is complete, each player will be registered with our HitTrax system, and have a video recording taken of their swing and or throwing delivery. The initial videos will be used as a comparison with future videos throughout the program. There is a lot of technology here at The LAB! Hitters will be taking full advantage of the HitTrax system, which not only records a high speed video every time a player makes contact with the baseball in the designated cage; it also churns out hitting specific data such as Exit Velocity, Launch Angle, Hard Hit Average, a Spray Chart, and much, much more. Pitchers will be using the Rapsodo Pitching System which calculates the quality of every pitch thrown, by measuring the velocity, spin rate, spin axis, and the overall spin quality. This is a tremendous tool that can clearly show just how effective each pitch of a pitcher’s arsenal truly is, as well as creating a valuable short cut to learning a new pitch to add to a pitcher’s repertoire. A PHYSICALLY WEAK PLAYER CANNOT LEARN PROPER BASEBALL MECHANICS NO MATTER THE DRILL! Once the assessment and video are complete, the coaches will design a custom training program for that player to be performed at The LAB. Depending on your availability, training programs can be designed for each players weekly commitment to training. Training programs include a comprehensive warm and and cool down, foam rolling and band work, and of course strength training exercises. Training programs will also take into account the player’s game schedule…especially if that player is a pitcher. Meaning: Workouts will be different for the pitcher that threw last night versus the pitcher scheduled to throw tonight, or the pitcher that has a few days before his next outing. Lastly, each player will be given a set of “corrective exercises,” which are chosen based on the initial mobility assessment. 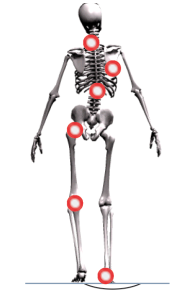 These exercise are key to “fixing” the body and its imbalances caused by baseball activities. Baseball facilities that can offer all three separate training programs (one for pitching, one for hitting, and one for strength training) are few and far between. 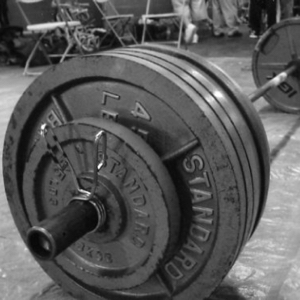 Those that do, only make each training program available a 2-3 times per week at best. Even if players had the time to train daily, they wouldn’t have access to the facility. Other facilities will simply try to push their biggest “lesson package.” Players could train daily, but in doing so, would burn up their package in a hurry…and only work on one part of their game. Generic drills and glorified BP. NO high-speed video, swing metrics, or a custom plan to develop your swing. Outdated pitching "drills" and glorified bullpen. NO high-speed video, pitch metrics, or custom throwing plan tailored to work around individual pitching workload. In about a 90 minute to 2 hour session, players will throw, hit and strength train. Everything they do is customized. Everything is monitored and recorded. For about $90.00… PER WEEK! This summer The LAB will be saying “thank you,” to those players that bring their friends and teammates in to train with them. Whether they just want the company, looking for a little “external motivation,” carpooling options, or they want to share what The LAB has to offer; players will be rewarded for their efforts. When a player brings in ONE player (and they sign up for the same or greater package) they will get a discount. When a player brings in TWO players, they will get a bigger discount. That player will get his summer training completely on the house! The top numbers in blue are the actual training fees. The side numbers in the blue column represent each referral. Next to those numbers, YOUR discounted training fee. You can keep it for yourself, or spread it out among your referrals. Your call. If you already know of a player or… three, click on the button below to let Coach Bones know so he can send you the private discount link. I Want to Bring in a New Player... or Three! I Train Alone. Where Do I Sign Up? The starting dates are June 4th, July 2nd, and July 30th. All programs are four weeks in length. The Three Month Training Program must begin on June 4th. The Two Month Program may begin on either June 4th, or July 2nd. The One Month Program can begin on any of the three starting dates. A full workout typically takes between 90 minutes to 2 hours. There will be days where workouts are shorter (specifically for pitchers on light throwing days). There will be days when workouts will run a little longer… but that’s usually due to the pace players exercise. Players that schedule ahead of time and training consistently will have a better feel for the length of each workout. What times will the workouts take place? Until school lets out, workouts will take place between 2:00pm – 7:30pm. Morning workouts are preferred to beat the heat, as well as give players the opportunity to enjoy the majority of their summer days before playing at night. Can I just show up between the training hours? Once you sign up to train, you will receive the scheduling link to set up your times. PLEASE NOTE: You training time is the start of training, not your arrival. Please plan your commute accordingly. ALSO: If you do not see a time listed on the scheduler, that indicates the time has been fully booked. Will I have access to the videos? 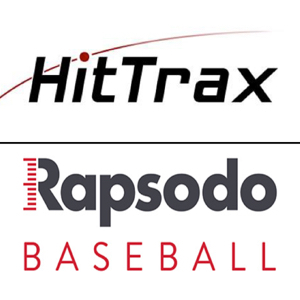 All players will be registered in the HitTrax system, where all files can be emailed immediately after workouts. Additional videos (via other cameras) can also be texted or emailed. This includes pitching videos, exercises, etc. Minus outdoor footwear (spikes, cleats, etc) players should bring the equipment they would typically bring to practice or a game. This includes a bat, glove, batting gloves, helmet, etc. Players should also consider bringing something to drink, as well as a towel. Coach, I can't get a ride. I know that the main times to work out conflict with a convenient time for working parents to get their ball players to The LAB. However, if last year was any example, players that were determined to get better found solutions. Two of those solutions: Uber and carpooling. More than a few players used Uber as a way of either dropping them off, picking them up, or both. Other players coordinated with other families, so “personal drivers” didn’t have to drive every time their player needed to get to The LAB.